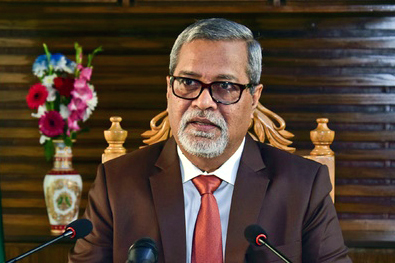 Chief Election Commissioner (CEC) KM Nurul Huda on Tuesday said that there was no scope of delaying the election schedule further for the 11th parliamentary polls. “We have taken all out preparation to arrange the general election by December 30 this year and a new parliament must be formed by January 29,” he added. The CEC made the comments while briefing returning officers at Nirbachan Bhaban in Dhaka's Agargaon today. Earlier yesterday, a fresh election schedule was announced by the Election Commission and according to the new date, the general election would be held on December 30. “The Election Commission has also extended the nomination submission deadline to November 28,” KM Nurul Huda told journalists yesterday. Earlier on November 8, the chief Election Commissioner has announced the national election schedule for the country’s 11th parliamentary election. According to the polls schedule, the national election was set to hold on December 23 this year. The deadline to withdraw the nomination forms was on November 29.